Congratulations on your engagement! I love assisting couples to select and create the perfect musical soundtrack for your wedding ceremony. The harp creates a unique and elegant visual and auditory aesthetic on your special day. I am a conservatory-trained classical musician with over twenty years of wedding experience and I work closely with my clients for a seamless, flawlessly choreographed ceremony. 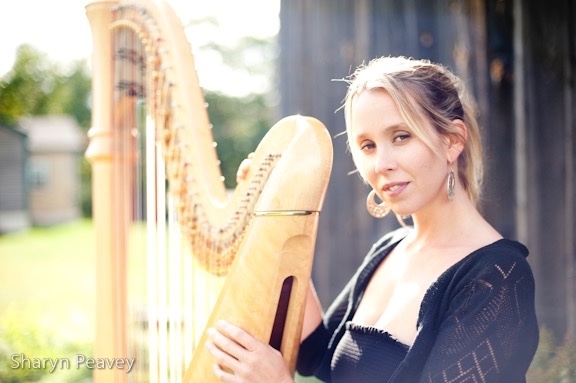 I grew up as the daughter of a harpist and seriously began playing the harp when I was twelve with my mother. I studied under Joan Raeburn Holland at Interlochen Arts Academy in Michigan and continued with Ann Hobson Pilot in Boston through New England Conservatory. I was very fortunate to study with Alice Chalifoux at the Salzedo Harp Colony in Camden, Maine. I am on the applied music faculty at Colby College and I perform regularly with various ensembles throughout Maine including MidCoast Symphony, Androscoggin Chorale, and Colby and Bates Colleges. I also enjoy playing celtic music and have a separate site for this music HERE . My two albums, Siren Song and AURUM can be streamed HERE. I'm passionate about organic gardening and my rose petal glycerine is famous amongst friends. You can frequently find me with my pooch Wilbur and two sons Soren and Bjorn at Popham Beach or exploring the woods and trails of the Phippsburg Land Trust. Being French, I love to cook and being Norwegian, I have very strong opinions on wood-stacking methodology. 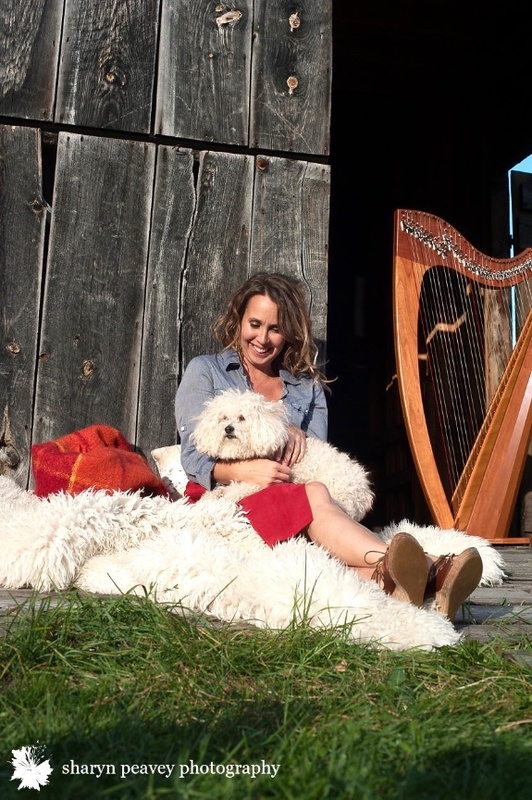 I'm currently busy finishing a certification for harp therapy to play prescriptive music in end of life settings with a goal to provide this service in Hospices throughout Maine. My music studio is located in the vibrant heart of downtown Bath where I teach harp, piano and ukulele lessons.